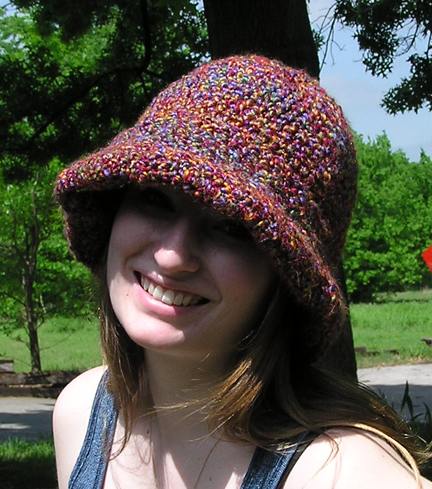 This wide brim hat is made with a soft textured multi colored yarn. 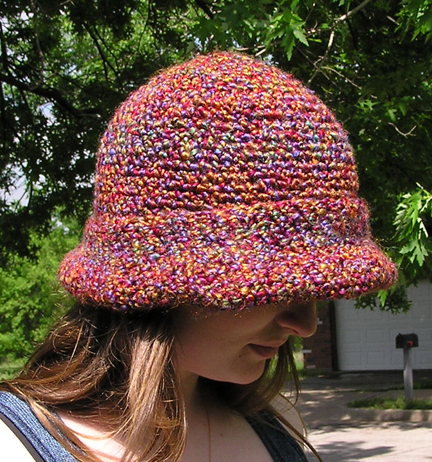 The slanting brim is turned back for a double thickness. 98% acrylic, 2% polyester.